KidZania, the world's leading edutainment brand which has successfully established itself in Mumbai, is now all set to explore other metros in the country. Expanding its footprint in India, the brand has targeted Delhi NCR as their next destination. In a span of less than a year KidZania has reached out to more and more children with their unique activities by providing interesting and innovative platforms. 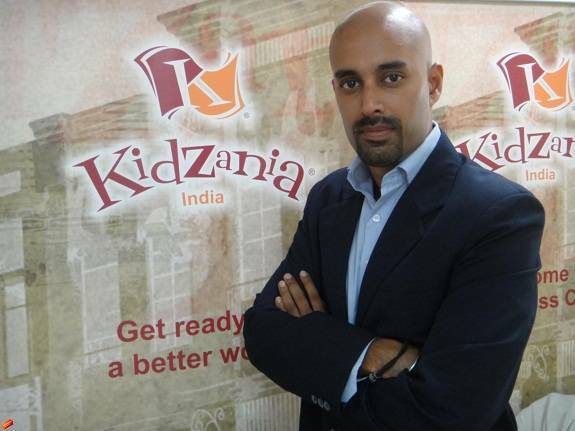 In an exclusive interaction with Adgully, KidZania India spokesperson Viraj Jit Singh, Chief Marketing Officer briefed us about the recent initiatives undertaken at KidZania. At the onset Singh spoke about KidZania and the role it plays in shaping and developing the lives of children. “If we look at the concept of KidZania, it’s all about empowering, inspiring and educating children through real-life Role-Play experiences and we look at partnering brands that help bring realism and authenticity to our activities. This exceptional opportunity helps us in further building our promise of “real experience” and it allows kids to build self-confidence and encourages creativity in them,” he said. KidZania Mumbai features premier global and local brands and their key industry partners include: Big Bazaar, Birla Sun Life Insurance, Cadbury's Dairy Milk, Central, Coca-Cola, Godrej Security Systems, Hardy's, Hyundai, Kellogg’s' Chocos, Mad over Donuts, Radio City, Star India, Times of India and YES Bank. “With partners like Star TV who have been there since the launch of KidZania we are planning take the kids experience to another level. All our initiatives have just closed the circle and it has empowered the children. All the activities which we carry out with our partners work well for us and for our partners as well,” added Singh. Recently KidZania collaborated with STAR Sports and co-created a unique platform for kids that helped in nurturing children's self-confidence through exposure to a real-life TV show experience at Star India Studio, KidZania Mumbai. The entire activity at Kidzania makes children enjoy and learn new things in 5 hours set time and they are able to do around 8-9 activities. Since September 2013 children have participated in multiple repeat occasions like birthday parties and school trips with their families. KidZania a destination for kids is also a great place for content generation. We asked Singh, whether they are planning to come up with their own kids channel in the near future. “Though we are in the business of entertainment, we are unfortunately not in the business of media. Many television channels have approached us to use KidZania as a destination to shoot whether it’s shooting films, programs or ad films. We will start opening up to it soon but now we just want to establish our brand first. We will be not able to create content as we are not in that business but will have destination wherever we can. Star TV is our long term partner and I hope we can create other platforms too. It all depends upon the creative and content team. For us YouTube will be our channel where we will look at trying to create content from Kidzania about our brand and experience,” he answered. Approximately 3L kids experience the activities at KidZania and it has been an immense achievement for the company. In less than a year’s time they have achieved sufficient success in India.